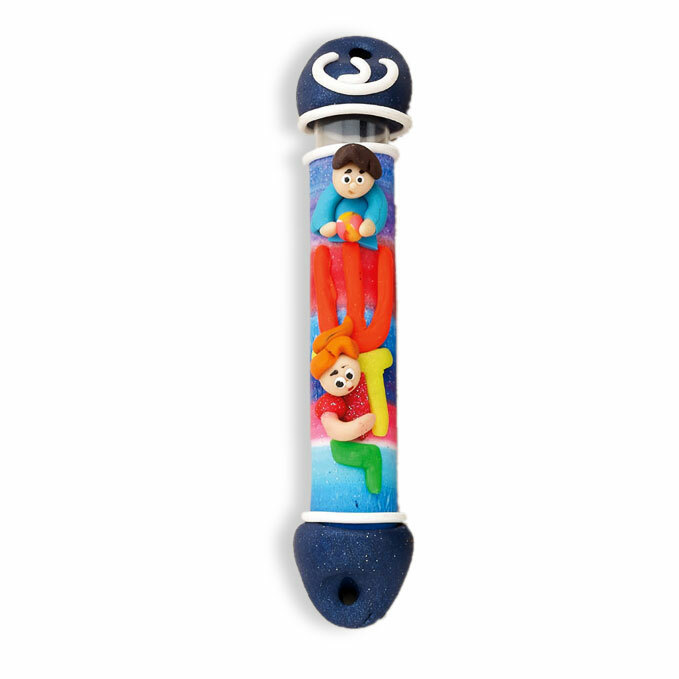 Kids At Play Is The Theme For This Adorable Children's Mezuzah. In Vibrant Colors, This Mezuzah Measures 5" H X 1" W And Is Made In Israel. It Would Make A Big Splash As A New Baby Or Shower Gift.